Beginning Monday (Jan. 16), the University of Notre Dame will host a series of events to mark both Martin Luther King Jr. Day and Walk the Walk Week. The observances celebrate the diversity that currently exists on the University’s campus and offer an opportunity to reflect on how each member of the campus community can take an active role in making the University more welcoming and inclusive. Martin Luther King Jr. Day (Jan. 16) will be marked by a candlelight prayer service at 11 p.m. in the Main Building with Notre Dame President Rev. John I. Jenkins, C.S.C., presiding. A procession to the Sacred Heart of Jesus statue will follow. Sponsored by the Office of the President, Campus Ministry and the President’s Oversight Committee on Diversity and Inclusion, the prayer service is open to the public. Given that King Day falls before the start of the 2017 spring semester, the University has designated the week of Jan. 22-27 as Walk the Walk Week. On Monday (Jan. 23) students, faculty and staff are invited to a campus-wide MLK Celebration Luncheon and program in the University’s Joyce Center from 11:30 a.m. to 1:30 p.m. The luncheon is a free but ticketed event. The luncheon program will feature “A Conversation with Judge Ann Claire Williams, Walking the Walk: Saying Yes” and remarks by Father Jenkins. Williams, a Notre Dame alumna and trustee, was appointed to the U.S. Court of Appeals for the 7th Circuit in November 1999 after previously serving as a U.S. District Court judge for the Northern District of Illinois in Chicago. She received an honorary degree from Notre Dame in 1997. Luis Fraga, co-director of the Institute for Latino Studies (ILS) and professor of political science, will serve as convener. Voices of Faith will perform musical selections before and during the program. Members of the Notre Dame community who are unable to attend the campus-wide luncheon are invited to gather with friends and colleagues for lunch in the dining halls to continue the day’s conversations. Lunch is complimentary upon presentation of a Notre Dame ID. Presented by the DeBartolo Performing Arts Center, “Moonlight” is the tender, heartbreaking story of a young man’s struggle to find himself, told across three defining chapters in his life as he experiences the ecstasy, pain, and beauty of falling in love, while grappling with his own sexuality. Ticket information is available at http://dpactickets.nd.edu/single/SelectSeating.aspx?p=8772. Explore photographs of Martin Luther King Jr. and critical moments of the civil rights movement. The photographs reflect the movement’s participants’ struggle, courage and hope. King described this dynamic as having the faith “to rise from the fatigue of despair to the buoyancy of hope” in his October 1963 speech on the Notre Dame campus. Decades later, these photographs continue to resonate with, in the words of King, “the challenges we face” in the ongoing pursuit of a more just society. http://sniteartmuseum.nd.edu/visit-us/events/2017/01/23/walk-the-walk-week-event-civil-rights-photography/. Aisha Fukushima, a singer, speaker educator and rap activist who has both domestic and worldwide audiences, will speak on the subject of raptivism, a project that explores the ways culture can contribute to efforts for universal freedom and justice. The raptivism hip hop project is changing lives in 10 different countries and four continents. Her talk is sponsored by Multicultural Student Programs and Services (MSPS), the Gender Relations Center (GRC) and Notre Dame Community Relations and is open to the public. The Unity Summit, a two-hour interactive program open to Notre Dame faculty, staff and students, will give participants an opportunity to share their personal diversity and inclusion experiences, as well as to brainstorm ways to make the University more welcoming and inclusive for all. Eric Love, director of Staff Diversity and Inclusion, will serve as facilitator. Each year, the Center for Social Concerns invites local not-for-profit organizations, service and social action clubs to campus to educate Notre Dame students about the agencies’ work and ways students can get involved in outreach activities. More than 40 agencies are expected to attend the information fair. The event is open to Notre Dame students. Panelists will share insights from Martin Luther King Jr.’s last speech titled, “Where Do We Go From Here?” offer reflections on and analyze voting trends from the 2016 election, and provide thoughts on the future. The program will also include a question and answer period. Co-chairs of the event are Dianne Pinderhughes, chair, Department of Africana Studies and professor of political science, and Fraga. Panelists include Timothy Matovina, co-director, Institute for Latino Studies and professor of theology, and Christina Wolbrecht, director, Rooney Center for the Study of American Democracy and associate professor of political science. Institute for Latino Studies and Department of Africana Studies are co-sponsoring this panel discussion, which is open to the public. The Office of the Provost and the Graduate School will present an evening with entrepreneur, business leader and Notre Dame alumna and trustee Celeste Volz Ford and four star Air Force Gen. Ellen Pawlikowski. The talk will revolve around reflections on each individual’s path to their current role, early influences and decision making at critical personal and career junctures, reflections on mentors and partners along the way, aspirations and advice for audience members as they navigate their way. The program will be held from 4 to 5:15 p.m. with a reception to follow. This event is open to Notre Dame faculty, staff and students and attendees are asked to register here: https://graduateschool.nd.edu/about-the-graduate-school/fireside-chat-on-leadership-and-innovation/. This biannual literary event commemorates Notre Dame faculty member, poet and scholar, Ernest Sandeen. A distinguished senior poet is invited to give the reading and selects a younger poet to read alongside him or her. Poet, essayist, and playwright Claudia Rankine has selected the poet Solmaz Sharif, former managing director of the Asian American Writers’ Workshop and lecturer at Stanford University, to join her for this reading. Rankine is the recipient of a 2016 MacArthur “Genius Grant” and numerous awards and teaches at Yale University as the Frederick Iseman Professor of Poetry. The event, which is open to the public, is funded by the Ernest Sandeen Endowment and the Sturtevant Fund and is co-sponsored by the Creative Writing Program, the Department of English, the Office of the Provost’s Distinguished Women Lecturers Fund, American Studies, MSPS, Letras Latinas, ILS, Gender Studies, First Year of Studies, Africana Studies, the Department of Art, Art History and Design, and the Center for Social Concerns. The University is also a co-sponsor of the 31st annual Martin Luther King Jr. Celebration on Jan. 16, presented by the South Bend Heritage Foundation and the Martin Luther King Jr. Foundation of St. Joseph County. Events include a community service recognition breakfast, a memorial march, youth program and celebration concert at the Morris Performing Arts Center. For more information, visit http://sbheritage.org/martin-luther-king-jr-celebration/. 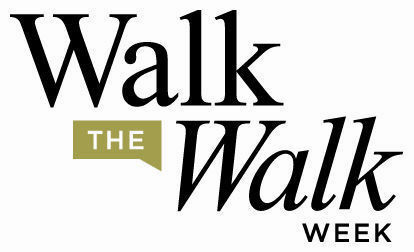 For more information about Walk the Walk Week events, visit http://diversity.nd.edu/walk-the-walk/. Originally published by William G. Gilroy at news.nd.edu on January 13, 2017.